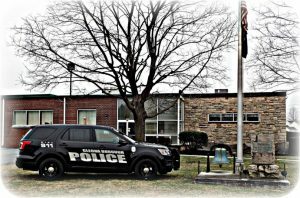 The Cleona Borough Police Department was established in 1956 and is currently comprised of 5 officers including a Chief of Police, a Sergeant, two Patrolmen, and 1 part-time Patrolman. We provide police services to Cleona Borough and North Annville Township. The department’s mission is the protection of life and property, the maintenance of order and public peace, the preservation of individual, human and constitutional rights, the prevention and repression of crime, the enforcement of laws through the detection, identification, and apprehension of law violators and providing a professional service to the public and residents of the Borough of Cleona. *WARNING* Please do not e-mail the Police Department to report a crime in progress, need for emergency assistance, calls for service or complaints, call 717-272-2054 or DIAL 911 for all EMERGENCIES. There will be absolutely no responses to unsolicited advertisements, anonymous or offensive e-mails. Due to security concerns learned since 9/11, and the department patch being a part of our official uniform, we are unable to honor any patch requests and as such all requests are automatically denied. Police Department public information and events will be posted through social media on Facebook and Nixle which are free to join.